Released in 1995, the Chevrolet Tahoe has since established itself as one of the best-selling full-size SUVs in the United States. In 2017, U.S. News & World Report proclaimed it the top vehicle in the Large SUVs category—thanks to loads of tech features, a comfortable ride, and relative affordability. As part of the nameplate’s fourth production cycle, the 2017 Tahoe presents the LT as its mid-level trim. As part of the nameplate’s fourth generation of production, the 2017 Chevy Tahoe LT features an aluminum hood and liftgate panel to reduce the vehicle’s weight. Daytime running lamps are integrated into the headlights to increase conspicuity, and you have the option of adding fog lights for more penetrating illumination. On top are rack side rails for additional luggage carrying capability. Black assist steps are located on both sides of the Tahoe LT under the doors to help with entry into the SUV. On the front doors are a pair of heated power-adjustable manual-folding mirrors, with the option of adding turn-signal indicators. The 2017 Tahoe LT rides on 18-inch high-polished aluminum wheels. The 2017 Chevrolet Tahoe LT provides three rows of seats. A pair of bucket seats are at the front, while the second and third rows each comprise a bench-style seat, thus setting maximum occupancy to eight. However, you can opt for a pair of bucket seats for the second row, which reduces maximum occupancy to seven. Behind the third row is 15.3 cubic feet of cargo space; however, you can fold down the second and third rows to expand cargo space into the cabin, thus yielding up to 94.7 cubic feet. The front-row seats have 10-way power adjustability, with power recline, two-way power lumbar, and two-position memory for the driver’s side. Also, the front seats get heated capability and leather trim. For infotainment, the Tahoe LT relies on the Chevrolet MyLink system, which integrates nine-speaker Bose stereo sound, AM/FM tuner with HD Radio, a single-disc CD/MP3 player, Bluetooth wireless technology for hands-free phone operation and audio streaming, Apple CarPlay and Android Auto for smartphone-based control, five USB ports and one audio jack for connecting or charging mobile devices, and an 8-inch color touchscreen. Other standard comfort and convenience features include electronic cruise control, an auto-dimming rearview mirror, remote keyless entry, remote vehicle start, a Wi-Fi hotspot for 4G LTE Internet access, and a universal home remote. There’s also a complimentary three-month subscription to the OnStar Guidance Plan, which includes services such as automatic crash response, advanced diagnostics, and stolen vehicle and roadside assistance. Navigation, push-button engine start, steering-wheel and second-row heating capability, wireless charging ability, a power sunroof, and a 4.2-inch multi-color driver information center are some of the options available on the Tahoe LT.
To provide a comfortable ride by isolating the cabin from rough pavement, the 2017 Chevrolet Tahoe LT uses the Premium Smooth Ride Suspension, which consists of a coil-over-shock front suspension and a multi-link rear suspension. Power steering provides responsive and accurate turning. Regarding drivetrain, you’d have the choice between a rear-wheel drive for better weight distribution from front to back; and an all-wheel-drive system for enhanced traction. The all-wheel drivetrain comes with a single-speed 4WD transfer case, which has a three-position rotary knob (2WD, automatic, 4WD) for appropriate adjustment according to road and weather conditions. 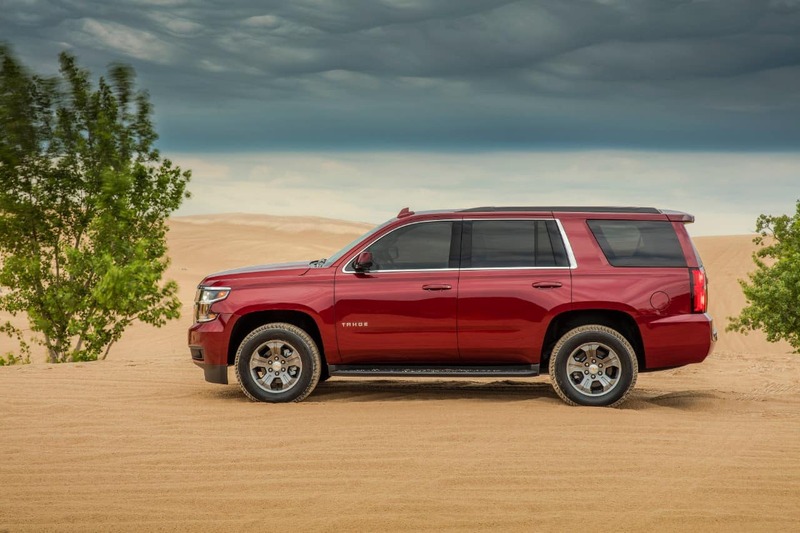 Regardless of drivetrain, the Tahoe LT has a heavy-duty locking rear differential for helping the large SUV power through the toughest terrain by keeping the rear wheel moving together. The 2017 Chevy Tahoe LT is powered by a 5.3-liter EcoTec V8, which generates 355 horsepower and 383 lb-ft of torque. The engine is hooked up to a 6-speed automatic transmission. 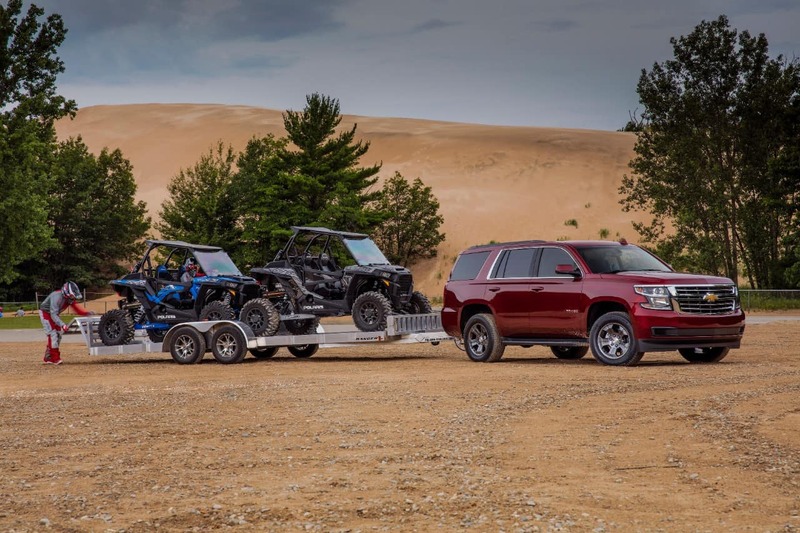 A trailering equipment package at the back of the large SUV enables towing ability, which is maxed at 8,600 lbs—provided that you go with a front-wheel drivetrain. The 2017 Chevrolet Tahoe LT has a pair of front impact airbags, dual front seat-mounted side impact airbags, and dual roof-mounted side curtains that cover all rows for head protection. Also standard are StabiliTrak for electronic stability control, four-wheel anti-lock disc brakes with brake assist, traction control, a rear vision camera, and an electrical theft-deterrent system. Standard advanced safety is provided by a rear park assist system, forward collision alert, lane keep assist, and low-speed forward automatic braking. For 2017, a customizable rear-seat reminder, as well as Teen Driver mode for governing the driving habits of younger drivers, are standard. 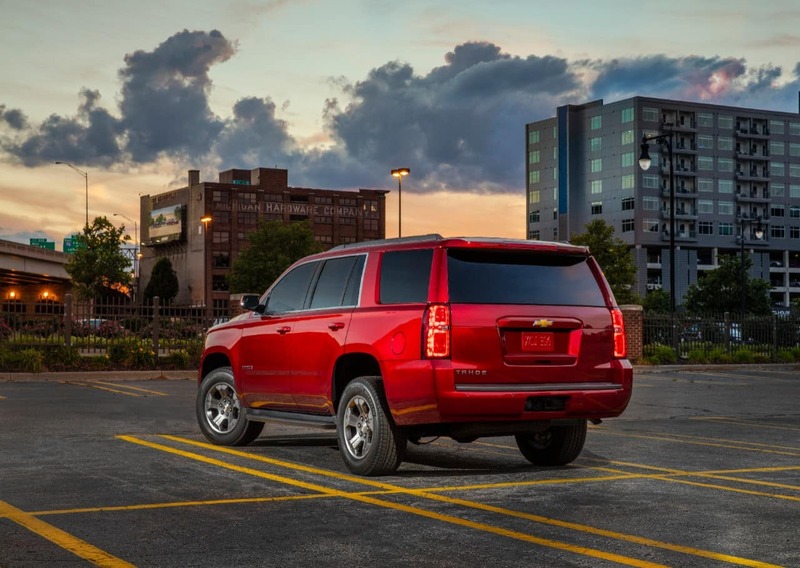 Rear cross-traffic alert, front park assist, and side blind zone alert with lane change alert are optional on the LT.
For 2017 Chevrolet Tahoe LT near Fox Lake IL, come see us at Libertyville Chevrolet. 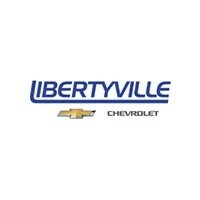 Named after its location in Illinois, Libertyville Chevrolet is notable for serving Fox Lake IL, as well as other places like Gurnee and Waukegan. For 2017 Chevrolet Tahoe LT near Fox Lake IL or a Fox Lake Area dealership serving Fox Lake IL, call us today to schedule an appointment. 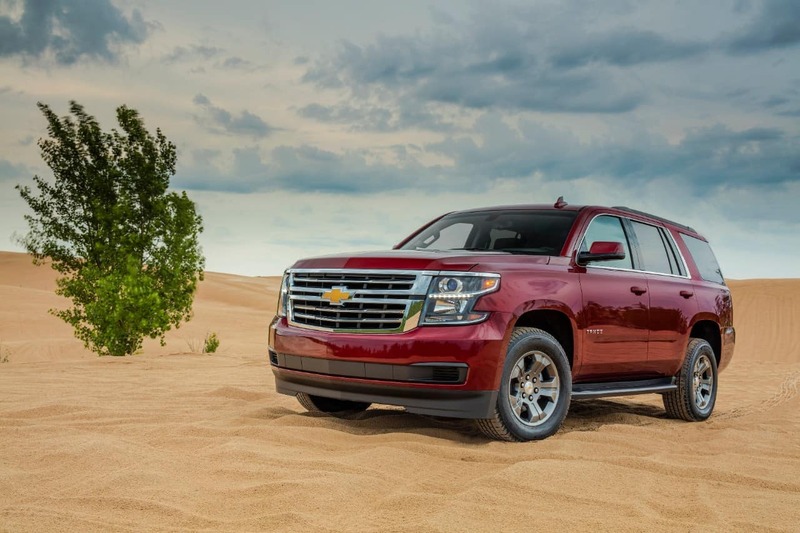 One of our well-trained and experienced Chevy Tahoe experts at a Fox Lake Area dealership like Libertyville Chevrolet serving Fox Lake IL will be able to assist you regarding 2017 Chevrolet Tahoe LT near Fox Lake IL.